we stand proudly behind our commitment to excellence. on time, every time…patient care comes first. It is the mission statement of Southern California Ambulance to provide the residents of all the cities in which we service, the highest quality patient care and service excellence. When you choose Southern California Ambulance for your medical transportation needs, you can be sure that you will receive professional, first class service by our specially trained EMTs to assist patients requiring a gurney, ensuring that each trip is comfortable and safe. We work hard to earn the trust of our clients by building ongoing relationships and delivering reliable, unsurpassed service. 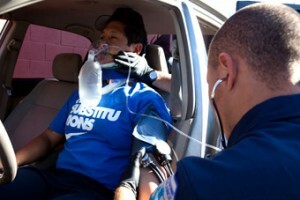 At Southern California Ambulance we stand proudly behind our commitment to excellence. We arrive on time, every time… patient care comes first, with no exceptions!